New Delhi 15 Jan 2019: INTIMASIA 3.0 is set to flood the crowd with awe on 21st and 22nd of Jan 2019, at Pragati Maidan, New Delhi. The fashion capital and business epicentre of the nation, Delhi stands as the perfect host for the new year to ring in the eve of INTIMASIA, India's first and ever path-breaking concept to bring in the utopian minds of the retailers and brands under one ceiling with a vision to elevate the innerwear business to new heights, by promoting fashion, ideation, innovation and discussion. INTIMASIA’s first two editions in Kochi and Chennai were a runaway success. Shifting the action to the nation’s capital then, the heart and soul of India’s pert, couture and high fashion, INTIMASIA 3.0 New Delhi, at Pragati Maidan is definitely the place to be for the titans of the intimate wear industry, the paramount Horizon where Retailers and Intimate Wear Brands Meet, Connect and Inspire. 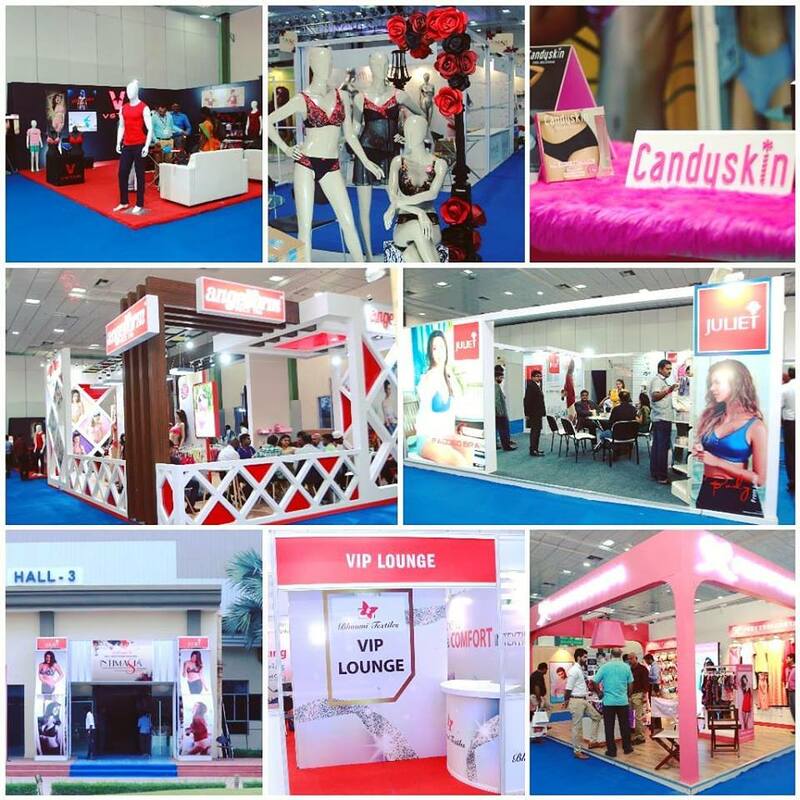 The show will highlight every sections of intimate apparel like Lingerie, Men’s Innerwear, Kids Innerwear, Sleepwear, Loungewear, Swimwear, Shapewear, Active wear, Socks & Stockings, Thermals, Leggings, Handkerchiefs and other hosiery products. The two-day affair will provide a platform to the retailer and distributors to connect and head into the intimate apparel business right away. Retailers from 84 neighbouring cities are expected to make their presence felt. Intimate wear is currently the fastest growing sector of the garment trade, and with Delhi at the heart and crux of the industry. It makes it the perfect intersection for both manufacturers and the trade to converge the wide exposure. Add to this India’s premier exhibition, at Pragati Maidan, assures that the trifecta of why INTIMASIA 3.0 is slated to become India’s signature intimate wear expo he further added. INTIMASIA was conceived as path-breaking concept to bring in the best and brightest minds amongst both retailers and brands under one banner with a dynamic and clear vision: the elevation of the innerwear business to new heights, by seamlessly promoting fashion and ideation, while seeking to encourage and foster innovation and discussion. As the unprecedented success of the first two editions of the event will testify, INTIMASIA isn’t just a platform to exhibit your wares, it is in fact an eclectic mix of exhibition, launches, networking, opportunities and a glandular platform for both retailers and brands to kindle in repartee as they connect, discover and flourish. Delegates, participants and invitees from across the industry will testify to its efficacy as a platform to make enduring connections and make the right waves in their sphere of influence. Since its inception, the association has grown rapidly, gaining momentum over the years and as a result, propelling the industry to greater heights. In a span of four years, IAAI has developed a membership base of 1000+ brands & manufacturers and 10000+ retailer and distribution partners.